Is Mercedes working on a rival for the upcoming Ford Ranger Raptor? First confirmed in 2015, the X-Class was unveiled in 2017 as a production model and became the company’s first mass-produced pickup truck. Produced by Nissan Motor Iberica, the X-Class isn’t an original Mercedes-Benz design, as it borrowed its chassis and many body panels from the Nissan Navara. However, it employs many Mercedes-specific styling cues on the outside and new technologies inside the cabin. In addition, it features a more premium interior, at least in the more expensive trim. Similarly, most engines available come from Nissan, but the range-topping model uses Mercedes’ V-6 diesel mill. With the X-Class on its way to showrooms, is the German company finally planning to roll out an AMG model? So far, there aren’t any signs that Stuttgart wants such a model. What’s more, Tobias Moers, the man in charge of AMG, said that there are no plans for a beefed-up X-Class, adding that he doesn’t see a market for it. This was in late 2016. In 2017, the AMG was again dismissed by Mercedes-Benz Vans boss Volker Mornhinweg, who said that the truck "is not right for a V-8." However, the AMG-badged X-Class is still "something that we will listen and look carefully," so there is still hope of a production model. Actually, I’m positive that Mercedes-Benz will eventually make one, as both the Middle East and the U.S. markets will be more than happy to get it. We’ve already made a rendering of the truck, and we’re going to discuss what it may bring to the table in the speculative review below. Continue reading to learn more about the Mercedes-AMG X63. Does this Mercedes X-Class Mule Point to a new US Competitor for the Chevy Colorado and Ford Ranger? Note: Standard Mercedes X-Class pictured here. The design of the X-Class shouldn’t change much with the AMG package. 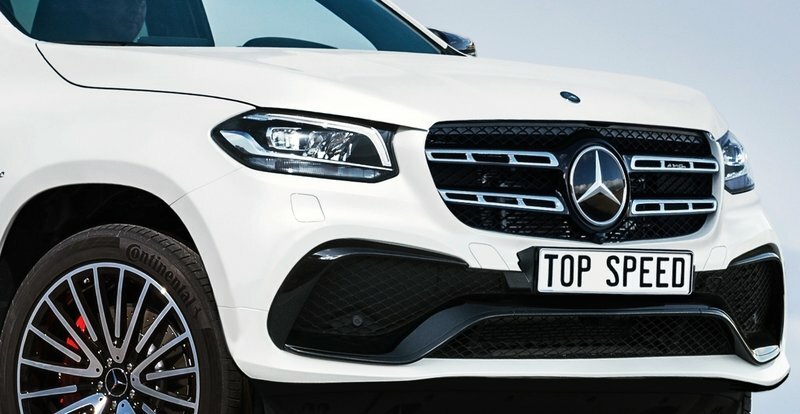 While it will receive many of the unique features that come with other AMG vehicles, don’t expect it to be as aggressive as the sedans or coupes. Up front, it should stand out by means of a new bumper. The massive, black-painted plastic piece will be replaced by an AMG bumper grille with honeycomb mesh. As a result, the vents will grow larger, which will improve drivetrain and brake cooling. This new feature will also give the truck a sportier look. The main grille will also get thinner horizontal slats, while the chrome around the Mercedes star will turn black. The same will happen to headlamps for a more menacing look. Onto the sides, we should find black mirror caps (maybe with a carbon-fiber option), revised side steps, and multi-spoke, AMG wheels wrapped in performance tires. 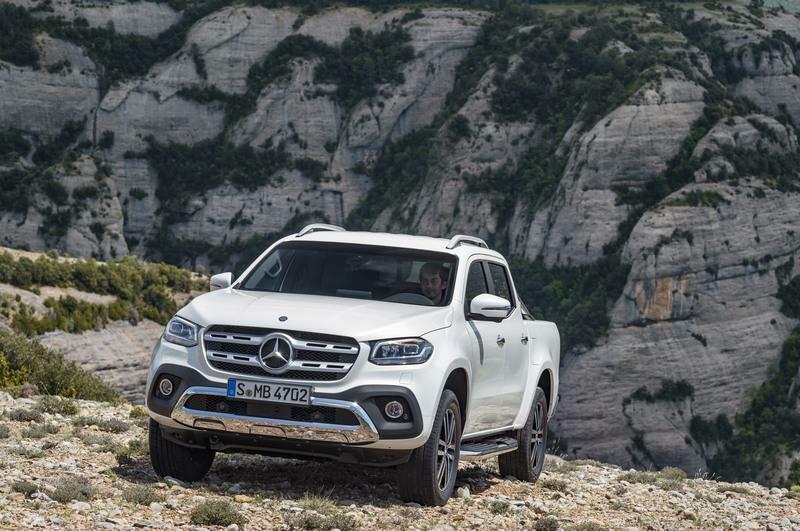 Being a truck, the X-Class could also get a rock climbing version with off-road tires. The rear section shouldn’t change much either. Highlights could include a matte black bumper, a large skid plate, tinted taillights, and an AMG badge. Large AMG graphics on the tailgate would be cool too! Mercedes could also introduce a couple of extra paints for the AMG version. The amount of new features we will find inside the cabin depends on how far Mercedes-Benz wants to go with this truck. If it’s planning to launch a full-fledged AMG model, like an X63, upgrades should be similar to those seen in the Mercedes-AMG GLE63. They should include a leather-wrapped dashboard, aluminum trim, and a flat-bottom steering wheels as standard. The regular seats should be replaced by bolstered units with perforated Nappa leather. Also look for a slightly revised instrument cluster with sportier dials, carbon-fiber inserts, and AMG-specific lettering. The 8.4-inch infotainment screen, which is optional in the base X-Class, should be standard in the AMG model. And it should also get a distinctive design for the start-up screen. 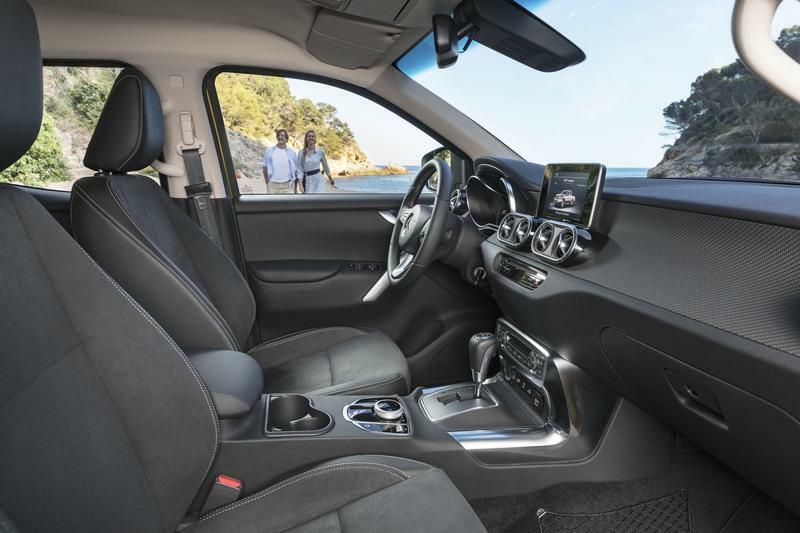 Some carbon-fiber trim on the dash would be nice too, but the clean and simple design of the X-Class’ interior doesn’t leave much room for that. However, the A/C bezels, the lower dashboard area, and the center console look like they could use a bit of carbon, at least through the options list. In case Mercedes decides to keep the X-Class on the milder side of the AMG pond, an X43 model won’t include as many features as the 63-spec vehicles. The flat-bottom steering wheel should remain in place, but don’t look for any carbon-fiber trim. You shouldn’t get your hopes up on the heavily bolstered seats either, while the Nappa leather upgrade will be gone too. 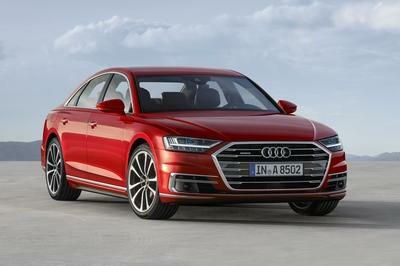 But it will still have a few extra niceties, so expect it to have a sportier, more premium feel when compared to the non-AMG version. If you look closely at our rendering, you’ll notice the "biturbo V8" badge on the front fender. It’s there because we designed the truck as an AMG X63 version with the twin-turbo, 4.0-liter V-8 under the hood. The standard X-Class already benefits from three drivetrains, but there’s only one gasoline options, a turbo four-cylinder that cranks out 164 horsepower. The other two options are diesels. 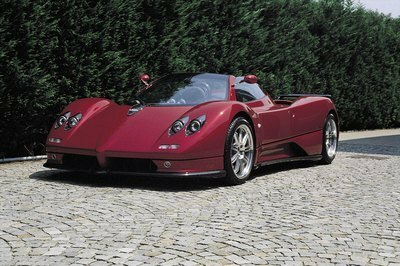 There’s the Nissan-sourced 2.3-liter four-pot rated at either 161 horsepower and 297 pound-feet or 188 horses and 332 pound-feet. Finally, Merc’s 3.0-liter V-6 turbo diesel delivers a solid 255 horsepower and 406 pound-feet of twist. So Mercedes has no choice but to use a different engine in the AMG model, be it a V-8-powered X63 or a V-6-motivated X43. Atlhough Volker Mornhinweg said that the truck is not right for a V-8 engine, AMG shouldn’t find it very hard to modify the front section for the 4.0-liter. The twin-turbo unit is already a familiar presence in AMG cars. First introduced with the AMG GT sports car in 2014, it also found its way into AMG versions of the C-Class, E-Class, and GLC, just to name a few. The engine is usually offered in two versions. The 63 models usually get 469 horsepower and 479 pound-feet, while the 63 S variants come with 503 horsepower and 516 pound-feet on tap. An S version seems unlikely, but the X63 wouldn’t be overly powerful at 469 horses. Of course, there’s also the possibility that AMG detuned the V-8 to a little less than 400 horsepower. Should Mercedes decided that an X43 version is enough for performance truck fains, expect it to use the 3.0-liter V-6 that motivates the C43 sedan and the GLC43 crossover. Also twin-turbocharged, this unit cranks out 362 horsepower and 384 pound-feet of torque, which is more than enough to make the X-Class the most powerful truck in its segment. AMG will also meddle with the transmission and the four-wheel-drive system. Both will be modified to handle the extra performance. The automatic transmission will shift quicker for enhanced 0-to-60 mph sprints. Don’t expect to get a manual gearbox with the AMG-prepped truck. Pricing for this truck will depend on what model Mercedes will decide to make. Obviously, the X63 will be more expensive than the X43. The base model retails from €37,000 (around $43,350 as of November 2017) and this means that the X63 could cost in excess of €60,000 (about $70,300). On the other hand, if AMG goes with the X43 model, it should retail from around €48,000 (around $56,240). U.S. pricing for the X-Class is not yet available and we still don’t know whether Mercedes is planning to bring it to the U.S.. But I will update this section as soon as we get more information. Setting up a competitor section of this truck is somewhat tricky. For starters, none of its European rivals, like the Toyota Hilux, Volkswagen Amarok, and Ford Ranger, don’t come with performance packages. The Chevrolet Colorado gets pretty close in Z71 trim (and ZR2 upgrade), but this truck is only available in the United States. So unless it comes to the U.S., this AMG-tuned pickup will compete in a segment of its own until some proper competition is offered. Unlike Mercedes-Benz, Chevy has been making pickup trucks for decades. The Colorado is its smallest offering, and it has been around since 2003, when it replaced the iconic S-10. 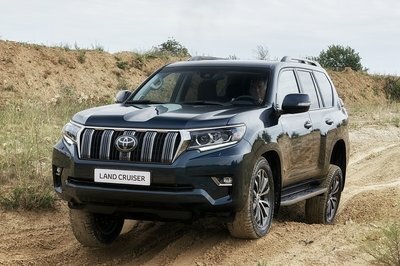 The Colorado was discontinued in the U.S. in 2012, becoming an Asia and South America vechile, but returned to North America for the 2015 model year. It’s most potent engine, the 3.6-liter V-6, was upgraded for 2017, now being capable of 308 horsepower and 275 pound-feet of torque. Granted, that’s nowhere near as powerful as the AMG, but it’s the closest you can get in the United States. This engine comes standard with the top-of-the-line Z71 trim, which adds off-road suspension, an automatic locking rear differential, and unique 17-inch wheels (among others) to the LT model. 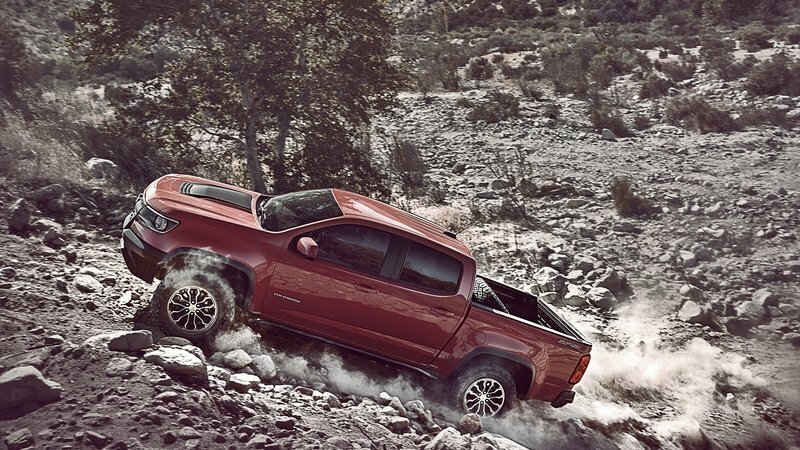 You can further upgrade the truck with the ZR2 bundle, which makes the Colorado even more capable on the unbeaten path on top of making it seem more aggressive design-wise. 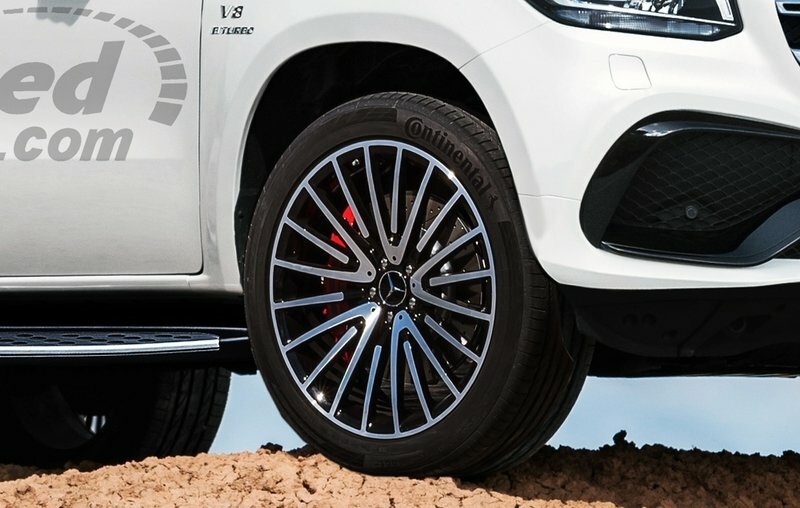 It also increases ground clearance and track width, so even though it’s not as powerful as an AMG truck, it can climb rocks with ease. The Z71 trim with the ZR2 package will set you back $41,355 before options, but you’d still save a lot of dough compared to what an AMG X-Class would retail for in the U.S.
Read our full review of the 2017 Chevrolet Colorado. The Ranger Raptor is just speculation as of November 2017, and the Ranger has yet to return to the U.S. Just like the Colorado, the U.S.-spec Ranger was discontinued in 2011, when American customers lost interest in compact trucks. The Ranger is now being sold in other markets, including Europe, but Ford said it’s planning to bring it back to the U.S. for the 2019 model year. 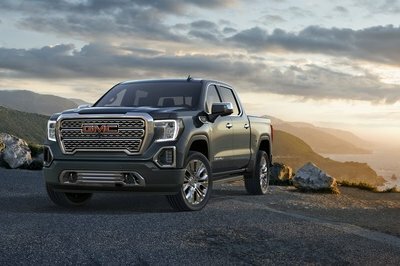 With the truck now set to make a comeback, word has it that a high-performance version is also in the works. 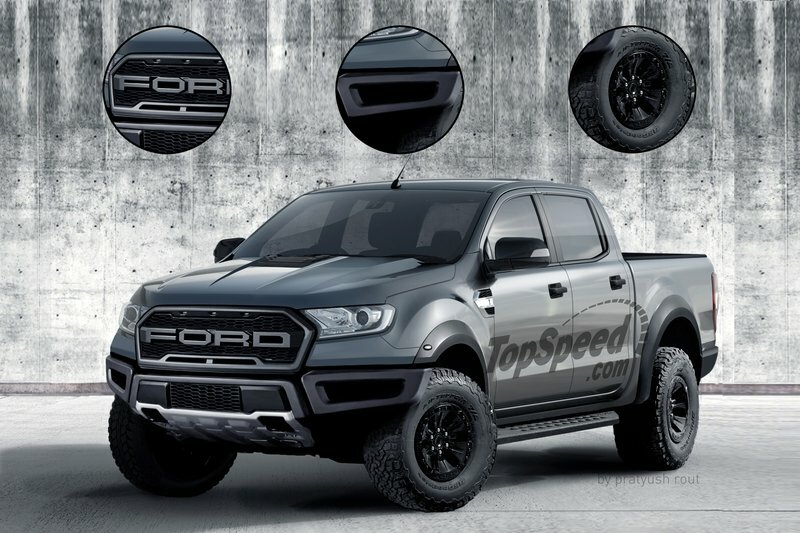 Likely to wear the "Raptor" badge, it should sport upgrades similar to the infamous F-150 Raptor. Design-wise, it will be decidedly more aggressive than the X-Class AMG, but the cabin could be just as fancy, with sports seats combined with plenty of leather, carbon-fiber, and Ford’s latest technology. Under the hood, it should get a version of the company’s 3.5-liter EcoBoost V-6, rated at some 450 horsepower. The output would trump the AMG X43, but it will also be able to compete against a more powerful AMG X63. Finally, if the F-150 Raport is any indication, the Ranger Raptor should be a better truck for off-roading and desert running. Pricing-wise, the Ranger Raptor should cost significantly less than the F-150 Raptor, so expect a sticker of around $42,000 before options. Read our full story on the 2019 Ford Ranger Raptor. 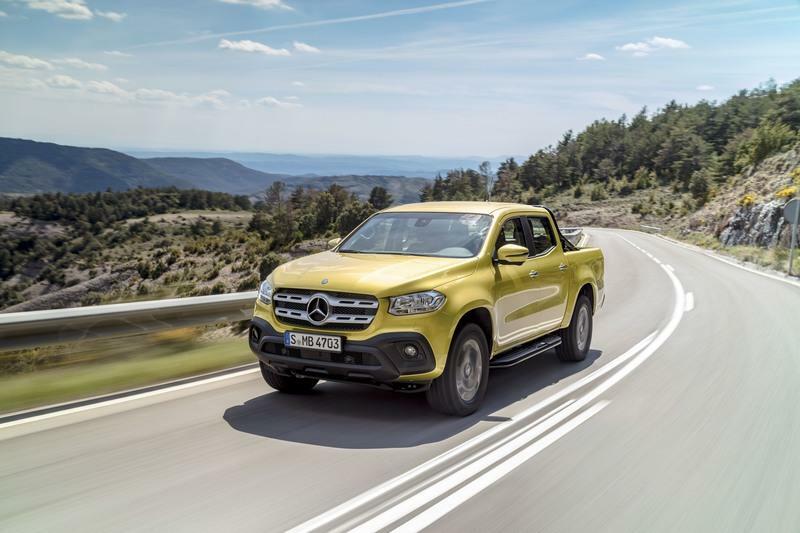 Many enthusiasts were disappointed by the X-Class being just a slightly revised Nissan Navara, even though Mercedes wants to position its truck higher in the market with a more premium interior and better tech. 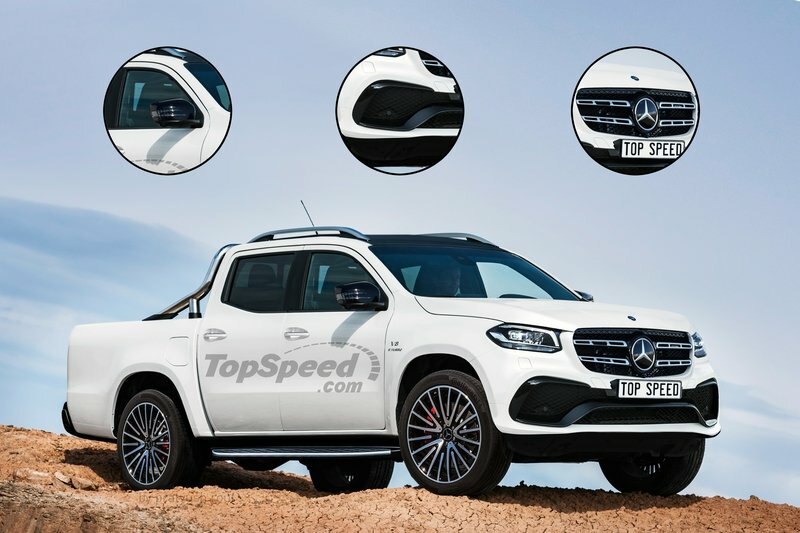 It remains to be seen whether this will help the X-Class’ case or not, but an AMG version would be the smart thing to do. 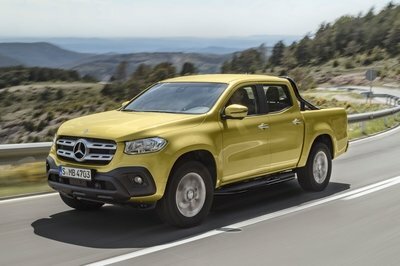 An AMG badge and a powerful V-8 would make the X-Class unique on the market in Europe and Asia and would give Mercedes a solid competitor for the Chevy Colorado ZR2 and the Ford Raptor Ranger in the United States. A V-6-powered X43 version wouldn’t hurt either, especially if it comes with more than 300 horsepower on tap. On the flipside, the AMG will be significantly more expensive than the competition, and that’s not good for business, even if your name is Mercedes-Benz.